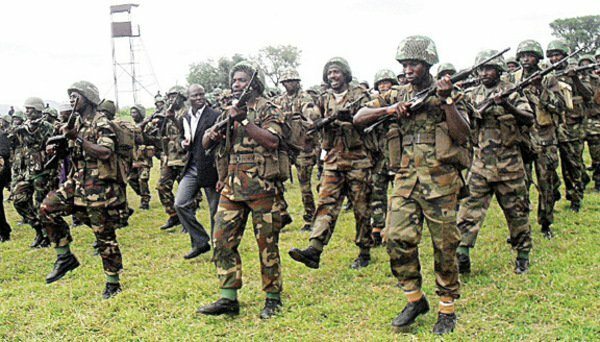 Nigerian Army – The Nigerian Army wishes to inform members of the public and all interested qualified applicants that, the online registration for the 78 Regular Recruit Intake for Trades/Non Tradesmen/Women into the Nigerian Army has commenced. There will be no Pre-selection Computer Based Test to be conducted on candidates. No special centre for recruitment. There will no Zonal Screening Exercise. All screening of potential recruits will be done at the candidates’ respective state of origin. Any candidates who falsifies or forges his/her results and discovered even during training at Deport NA would be withdrawn. All candidates are to report to the Screening Centres with their bank Verification Number Printout. Candidates are advised in their own interest not to give any form of gratification or inducement to any person or group of persons to assist them in the recruitment exercise. You are advised to carefully read the instructions on this portal or call the following support lines if in doubt: 0905 992 4328 and 0802 656 9770. Name of shortlisted candidates for screening would be released on 28 January 2019 on the website. Shortlisted candidates are to report to their respective states of origin for the screening exercise on 29 January 2019. Successful candidates would be transported to Deport NA for documentation and training from 9 Feb 2019. NA Recruitment form is free.